From the hit anime One Piece comes this FiguartsZero statue of Sanji. 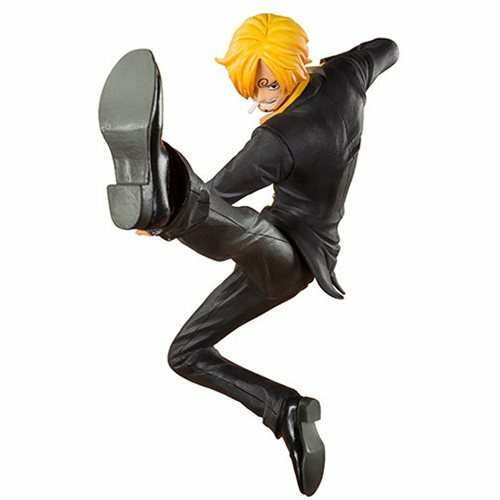 The One Piece Black Leg Sanji FiguartsZero Statue features Sanji, posed mid-kick in a dynamic action scene! Measures about 5 1/10-inches tall.